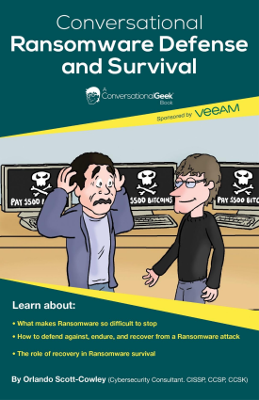 Conversational Ransomware Defense and Survival introduces ransomware and explains how it evolved into such a dangerous digital threat. Ransomware doesn’t discriminate, so this guide is useful to everyone: IT pros, IT decision makers and executives, from small businesses to large enterprises and across all verticals. Ransomware has become one of the most feared threats for IT environments, reaching $1B in payments in 2016. The malware produces damage not only by the actual cost of ransom, but also by causing revenue decreases due to loss of productivity and a seriously affected reputation. There’s no mercy in ransomware attacks and affected targets can be businesses of any size and shape — even personal computers aren’t skipped. But why is ransomware gaining notoriety instead of being vanquished? There are many factors that favored the ascension of ransomware, and unfortunately, it’s not going away anytime soon. Ransomware has been developing like an actual software product, with upgrades and enhancements being pushed really fast. This level of organization requires big budgets and R&D teams, which many legit organizations don’t have. Ransomware built its success on the weakness of the human element in IT environments, and by using social engineering, cybercriminals trick their targets into opening email attachments or clicking harmful URLs. The bad news is that cybercriminals are getting better and better at extorting money from their victims. The real solution is to be fully prepared.